Unwired Planet is, for lack of a better term, a patent troll. With its IP portfolio, it was able to take tech heavyweights like Apple, Google and RIM to court . But in order to keep suing the big boys, the company needs new patents to wield against them. That is why Unwired Planet recently purchased 2,185 U.S. and International patents and patent applications from Ericsson. 753 of the patents relate to 2G, 3G and LTE technology. From 2014 through 2018, Ericsson will toss in 100 additional patents a year. In return, Ericsson will have access to all of Unwired Planet's patent portfolio and also was given the rights to receive a certain percentage of revenues generated from Unwired Planet's patents. Some of the patents purchased from the Swedish based firm cover aspects of wireless technology such as GSM, GPRS, EDGE, WCDMA and LTE. Ericsson is basically giving up the patents hoping that Unwired Planet can make more money for it using them in court, than if Ericsson merely licensed them. Ericsson, Nokia and Motorola are floating on patents' sea .. They are the real inventors of Phone's world. Thank you greats ..
That is the most sense I've heard in a while. It's kinda like your job here as a troll, except you get paid. this is just ANNOYING!!!! 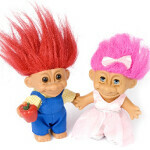 really hate those patent troll! innovation stopper! but then again they have the right! but again, how will innovation grow? but this "unwired planet" wasnt the one who made those patent...they just buy it! who started this patient trolling anyway! !